The Palazzo is an ideal place to organise courses and events. With a great variety of indoor and outdoor space, groups can work together but also find spots to relax in privacy. Botanists, artists and food lovers are amongst those who have enjoyed courses whilst families and friends come to celebrate special events such as weddings and anniversaries. Please contact us if you would like to run your own course or organise an event here. Pick fruit from the trees on the massive castle grounds and - depending on the season - turn them into limoncello, marmalade or even the region’s famous quince dessert, la cotognata. We cook together and make pasta everyday in one of the castle’s seven kitchens. 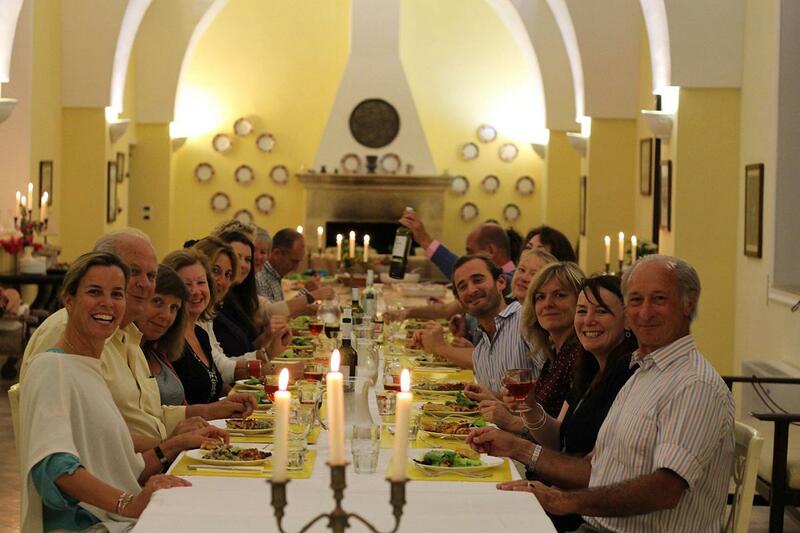 I have been organizing informal cookery weeks for groups at Palazzo Bacile for 8 years. The Salento area and Palazzo Bacile enable me to offer a diverse week combining fascinating cultural activities, exceptional Pugliese food and wine, interesting markets and specialist food shops."